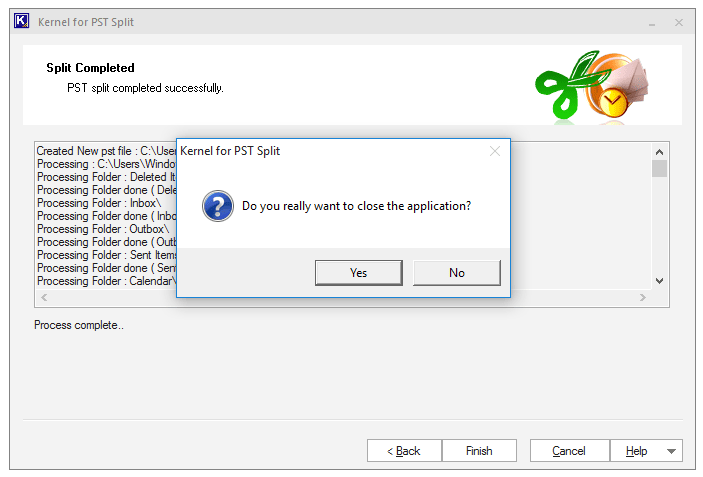 Step 1: Open Kernel for PST Split. 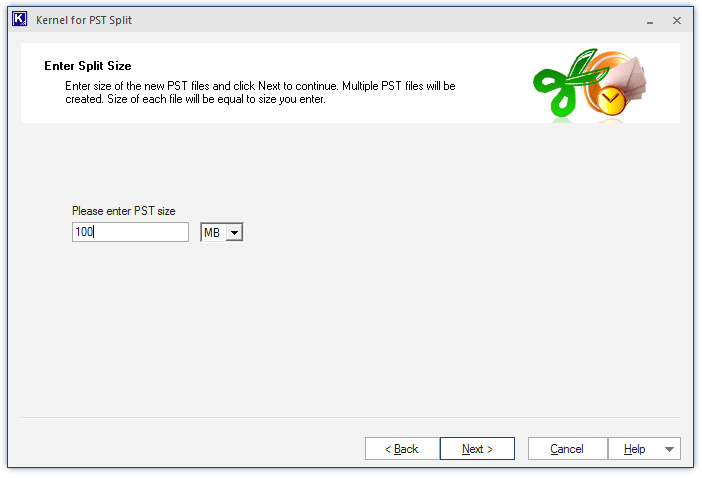 Step 2: Select the PST file you want to split. 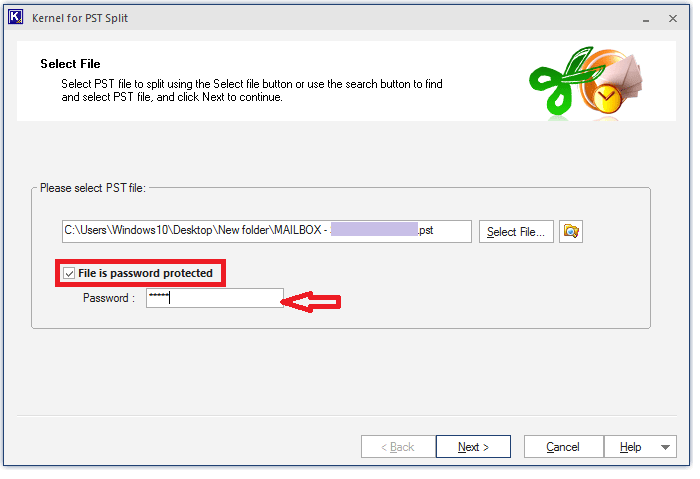 For password-protected PST files, click the checkbox given against File is password protected and type the password in the text box. 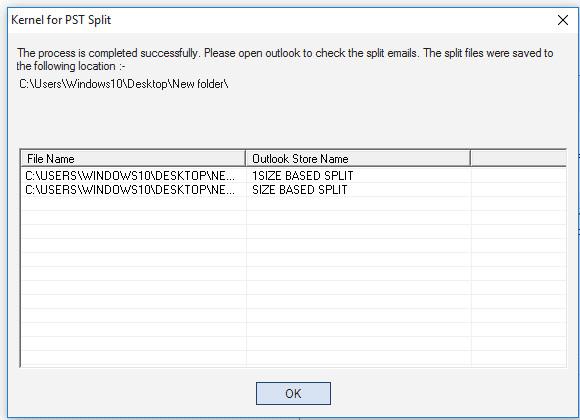 Step 3: Select Split PST file based on size out of many options displayed in Select Split Option window. On clicking Next, a list of splitting options will be displayed as shown in the figure for Step #4. 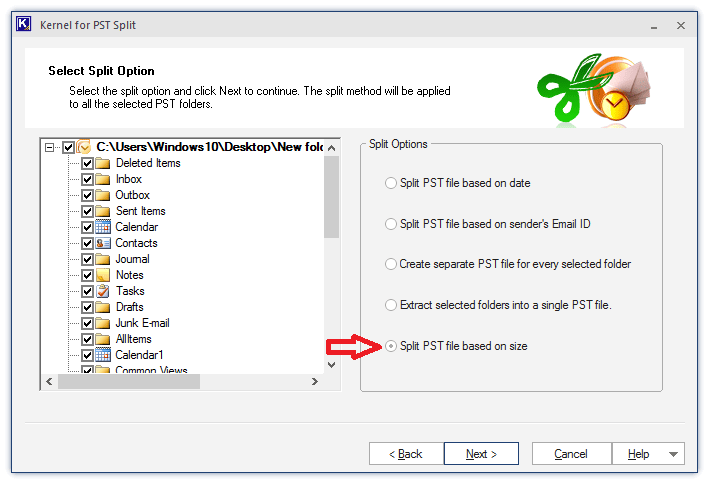 Step 4: Specify size of the Outlook PST files. Step 5: Specify the folder where you want to save your PST file after splitting. 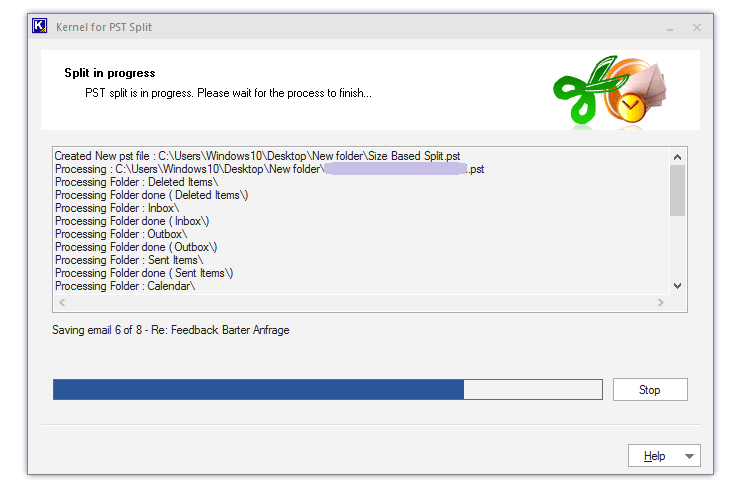 Step 6: You can see the progress of split operation just after defining the destination folder. Step 7: Once the process gets completed, the resultant files will be displayed as shown below. Exit this window by clicking OK. Step 8: Click Finish, and click Yes to exit the software application. 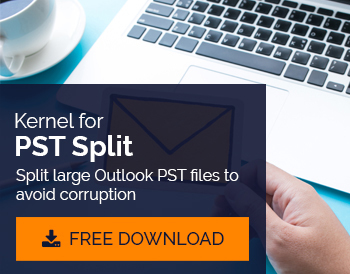 Kernel for PST Split helps you split large PST files into multiple PST files, and thus helps to avoid corruption and PST file size limitation errors. This tool is smartly designed to preserve your mailbox content even after splitting it. While splitting, it will prompt you to define the path of the destination folder. 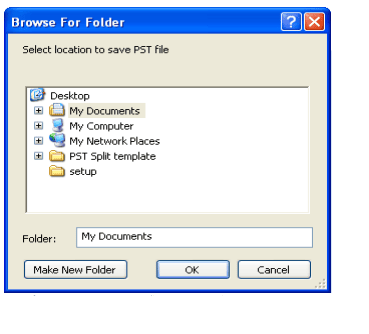 Moreover, it provides a link to the destination folder once the splitting process is completed. And using this this tool is quite simple as it possesses a friendly, user-oriented interface.